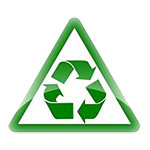 Are you a firm believer in recycling old technology in order to reduce environmental harm? Have you donated old computers to local services in order to avoid having them wind up in landfills of your hometown? When you get rid of an old computer, you may not realize that the hard drive may provide all kinds of information to anyone that gets hold of it. In fact, even if the hard drive appears to have failed, someone can simply put it into another computer and use data recovery software to pull information from the drive. Unfortunately, no matter how you look at it, disposing of a hard drive can leave you vulnerable to identity theft and many other problems if you don’t take an important step first. Chances are, you’ve deleted all kinds of files over the years from your computer. You may also be familiar with a number of different programs that shred electronic data signatures in order to make sure the data cannot be retrieved. In most cases, these programs will not truly clear the information from the hard drive. In fact, you need the kind of data wiping technologies used by the Department of Defence in order to truly feel confident about data destruction. Typically, you cannot find these programs in home based solutions. Consider a situation where you decided to buy a new computer, and now have an old hard drive hanging around. If you aren’t going to use it, then you may find yourself wondering if someone else can. No matter whether you are planning to donate the drive to a community technology drive, or some other resource, data wiping will ensure your important information never falls into someone else’s hands. Here at HDD Recovery Services we know that information is an incredibly valuable commodity. We also realize that each hard drive represents important natural resources as well as a sacrifice of some part of nature. Therefore, we commit ourselves to providing Department of Defense level data wiping services in Ottawa, ON at absolutely no cost. Simply bring in your old hard drives or mail them to our lab regardless of their condition. We will remove all the data from them, and then refurbish them for use in other systems. Give us a call today at (613) 366-4232 to find out more about our services and how they can help you live a greener life.